Would you like to keep your brain challenged while you chill out? 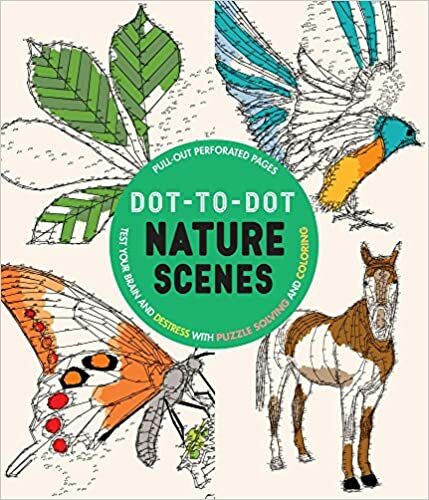 Then choose Dot-to-Dot Nature Scenes, a compelling new genre of complex dot-to-dot puzzles that combines brain training with puzzle solving and coloring-in fun. Many of these full-on challenges feature over 1000 dots and, with each page perforated, every one can be coloring in, torn out and displayed. The puzzles feature impressive natural scenes, such as mountain landscapes and waterfalls, to living creatures, such as dolphins and bats, and beautiful natural forms, such as spider webs, flowers and leaves.